Now that we are more than halfway through 2018, I thought it would be a good time to revisit #theunreadshelfproject2018. And I'll be honest, I’m not doing so great. The library book sales are my weakness, and I have added a ton of books to my unread shelf. But good news, I have cancelled all my holds at the library, so hopefully I can focus the next few months on reading books I already own. Fingers crossed! In my post earlier this year about my unread shelf, I talked about five of the books I was most excited to read. I have read two of those books, Everything I Never Told You and A Gentleman in Moscow. I still have so many good books left on my shelf that I really want to read, but sometimes I get distracted by new and shiny things. Other than the books I have previously written about in other posts, I am looking forward to these gems. Goodreads Description: From the author of the international bestseller Incendiary comes a haunting novel about the tenuous friendship that blooms between two disparate strangers---one an illegal Nigerian refugee, the other a recent widow from suburban London. Why I’m Excited: I really enjoyed Everything Brave Is Forgiven and am eager to read another one of Cleave’s novels. I have heard lots of people talk about it, so I am interested to give it a go. Goodreads Description: American Ella Durran has had the same plan for her life since she was thirteen: Study at Oxford. At 24, she’s finally made it to England on a Rhodes Scholarship when she’s offered an unbelievable position in a rising political star’s presidential campaign. With the promise that she’ll work remotely and return to DC at the end of her Oxford year, she’s free to enjoy her Once in a Lifetime Experience. That is, until a smart-mouthed local who is too quick with his tongue and his car ruins her shirt and her first day. Why I’m Excited: I studied abroad one summer at Oxford and absolutely fell in love with the lovely college town. 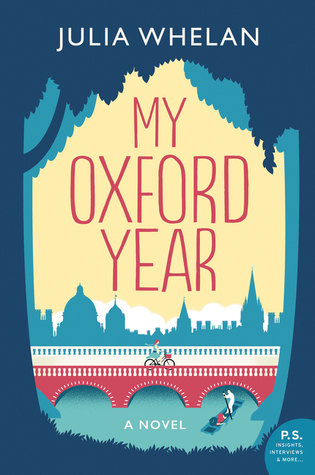 I am a sucker for any story set in or even references Oxford, so this is right up my alley. And I'm sure after reading My Oxford Year, I'll be dying to visit soon. 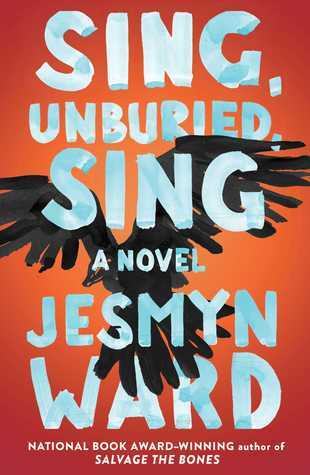 Goodreads Description: An intimate portrait of a family and an epic tale of hope and struggle, Sing, Unburied, Sing examines the ugly truths at the heart of the American story and the power – and limitations – of family bonds. Jojo is thirteen years old and trying to understand what it means to be a man. His mother, Leonie, is in constant conflict with herself and those around her. She is black, and her children’s father is white. Embattled in ways that reflect the brutal reality of her circumstances, she wants to be a better mother, but can’t put her children above her own needs, especially her drug use. Why I’m Excited: Everyone raved about this National Book Award winner last year. I’ve been waiting for a good time to pick this one up, and I am hoping that will be soon. Goodreads Description: At twenty-one, Shandi Pierce is juggling finishing college, raising her delightful three-year-old genius son Natty, and keeping the peace between her eternally warring, long-divorced Catholic mother and Jewish father. She’s got enough complications without getting caught in the middle of a stick-up in a gas station mini-mart and falling in love with a great wall of a man named William Ashe, who willingly steps between the armed robber and her son. 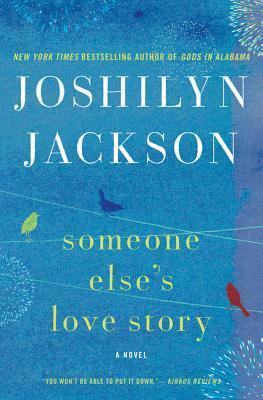 Why I’m Excited: I’ve repeatedly raved about Joshilyn Jackson and how her depictions of the South are some of the most accurate that I have ever read. I cannot wait to read this one; I snagged an autographed copy from Alabama Booksmith, when I was in Birmingham earlier this spring. So that's pretty cool! Goodreads Description: Sixteen-year-old Aza never intended to pursue the mystery of fugitive billionaire Russell Pickett, but there’s a hundred-thousand-dollar reward at stake and her Best and Most Fearless Friend, Daisy, is eager to investigate. So together, they navigate the short distance and broad divides that separate them from Russell Pickett’s son, Davis. Aza is trying. She is trying to be a good daughter, a good friend, a good student, and maybe even a good detective, while also living within the ever-tightening spiral of her own thoughts. Why I’m Excited: I’ve read most all of John Green’s novels, and I’ve been meaning to read this for a while now. Plus it’s been so long since I’ve read a good YA novel, and I’m itching to get back into the genre. Also, my graphic designer husband loves the cover. Hopefully I’ll make a conscious effort to read these books and all the other ones I’ve previously mentioned. Regardless, 2018 has been a great reading year so far. Let's hope the last half can live up to the first half! What are some of the books on your shelf that you’re looking forward to reading?